This course will be taught by Lao Shi L.Ac, MAOM, Daoist Abbot and 21st Generation Longmen (Dragon Gate) Daoist Priest. ​-This is a broad overview of the whole training and map of what will be covered. This will be the starting point for your journey through the Dragon's Gate. -This lesson will explain how Daoism even became organized in the first place and how the different sects Tian Shi (Heavenly Masters), Shang Qing (Highest Clarity), and Ling Bao (Numinous Treasure) came to be and what each one is known for. You will practice inner cultivations for all of them, meditations, sitting and visualizing, and the use of talismans, incantations, and other celestial personal cultivations as your daily practice to report on. -This lesson will explain why Ancestor Wang Zhe chose to create an amalgam of Daoism, Buddhism, and Confucianism and what it means to be a member of the different sub sects of this school. Most people know of the Longmen (Dragon Gate sect) but it will also cover the Chun Yang (Pure Yang sect) and the Zhen Wu (True Warrior sect). There will be meditations, observation of days of silence, and also tea ceremonies to learn and practice. -This will be an overview of what the five schools are, how they work in combination with the others, and what each one has to offer. - This will go into the teachings and philosophy of Lao Tzu, Zhuangzi, Lu Dong Bin, and a few of the other prolific writers of Daoism along with assignments to practice and meditations to go with it. - This assignment goes into the twin schools of Physical practices which are Martial Arts and Daoist Medicine and explains how they are the double edges of the same Jian (straight sword). There will be practices given and studies that you will experiment with, so as to help you see that the Creation (Xiang Seng) and Destruction (Xiang Ke) cycles are really one constant process. -This lesson goes into the Dao Yin (guiding and stretching), Qigong, Neigong (inner cultivation), and Neidan (inner alchemy) of Daoism and the different methods of completing the mating of Fire and Water (Kan & Li) to create the alchemical elixir. - This lesson is all about the part of Daoism that deals with states of consciousness and interactions with powers and principles that are not common to ordinary states of perception. It takes the student through various practices, ritual processes and exercises to see if the student can connect on levels that most people do not even know exist. - This lesson is very much for those people who feel connected to the earth and the different species of plants, minerals, and animals that make up the Daoist herbal pharmacy. The student will learn the means to understand the different categories of herbs and how each herb/formula works to promote health, longevity, and assist in the reuniting of Man and Dao. - This will be a more in-depth and comprehensive look at the various practices from Cha Dao (Tea Dao) to Neigong (inner cultivation) to all of the various practices that lead to the fusion of the Internal Spirits (Po and Hun) and the creation of the energetic body as well as the Immortal body. - This will be putting all that you have learned into a very customized lesson. All of your reports and feedback will determine how this will look, but it will be the creation of your own personal Daily practice as well as the initial structure of how you will approach your walk as an initiated Daoist Priest/Monk or Wandering Daoist. You will be actually codifying your own personal Dao as you will practice it for the second three year period after ordination. -This is where you will receive the morning and evening incantations (known as the Big 8) from the Dao Zhang (Daoist Canon). You will also be given morning and evening rites to practice and how to do this for the rest of the time you walk this life. As you can see, this is a pretty broad cross section of Daoism, but what you will find in the end, is that all Paths are really the same with just the expression being different. 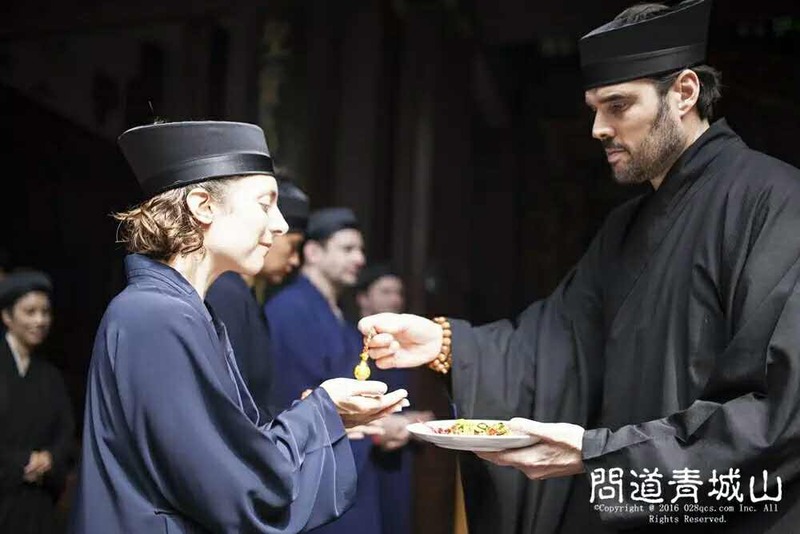 The final ordination ceremony will be done in accordance with the requirements of either the northern Quanzhen sect or the southern Zhengyi sect based upon the affinity and aptitude of the prospect. Please contact me if you want more information about the program. - You want someone that will heal you or transform your life for you. - If you are looking for comfort, peace and a state of constant bliss but aren't prepared to face what is. - You're ready to expand your skills. - You're willing to look at your fears, resentments, anger and inner terrors and go deep regardless of how uncomfortable the process may be. - To throw away your assumptions about life, society, people, etc. and build new constructs for yourself and raise your expectations . I won't make you a peaceful person, I will teach you the skills so you can CHOOSE peace (or anything else) regardless of what's out there. If you want truth, there are a million books out there with truths, but if you want real, that's The Way and we can walk together. Lao Shi began his training in Chinese martial and medical arts and spirituality at a young age. 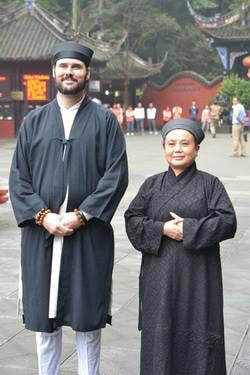 Apprenticed to a Chinese master, he was classically trained in the Daoist/Chan Buddhist spiritual paths as well as martial arts, acupuncture, herbs, qigong, and more. Lao has dedicated his life to the teaching of the Daoist arts of healing and training the body, spirit, and mind. Lao believes that training the mind and body, what the ancient Daoists called a Scholar Warrior, is one of the is the most sensible and effective way to approach common everyday life issues be they spiritual, mental, or physical. ​He also believes that all conflict in our lives comes from when we resist simply what is. Lao teaches all over the world in seminars, workshops, and on spiritual journeys with his students on just about every continent. Lao Da Long is a 21st Generation Longmen (Dragon Gate) Daoist Priest, a Diplomat of Oriental Medicine certified by the National Certification Commission for Acupuncture and Oriental Medicine (NCCAOM), a Licensed Acupuncturist in the State of Texas, a professional member of the International Medical Veritas Association (IMVA) as well as a Zheng Yi Daoist Priest.